I googled this bag and saw it was available in BERSHKA.. and I was jumping for joy as I had this feeling It would be one of those things you'd have to order off the internet. So i quickly logged onto the Bershka Malta site and checked to see if they were in stock, just 10 mins later I nipped out of work and ran down the street to Bershka and they had 3 left! I was lucky enough to go to the shop early so I didn't have to go around the shop with a lot of customers! I honestly don't think i'd wear it out often as I don't want to ruin it and I thought i'd use it as a Case for my MacBook but doesn't fit by about 1cm! I actually might store all my products for reviews and stuff which i'll keep it hand on my desk. 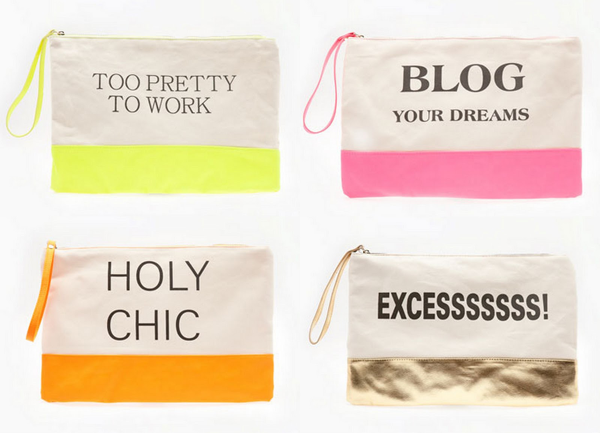 I bloody love these clutch bags, definitley need to get my hands on one for my hols! stumbled upon your blog on twitter, love it! new follower for sure! Too pretty to work I love it.